The Spring/Summer 2014 collections were marked by the arrival of a select group of newcomers whose beauty, charisma, and personalities hark back to the halcyon days when models commanded the fashion industry and the public's attention and imagination. Among the most promising new faces to emerge was sixteen year old Julia Bergshoeff whose ultra-exclusive appearances at Prada and Miu Miu had industry pundits marking her as the one of the season's most wanted. 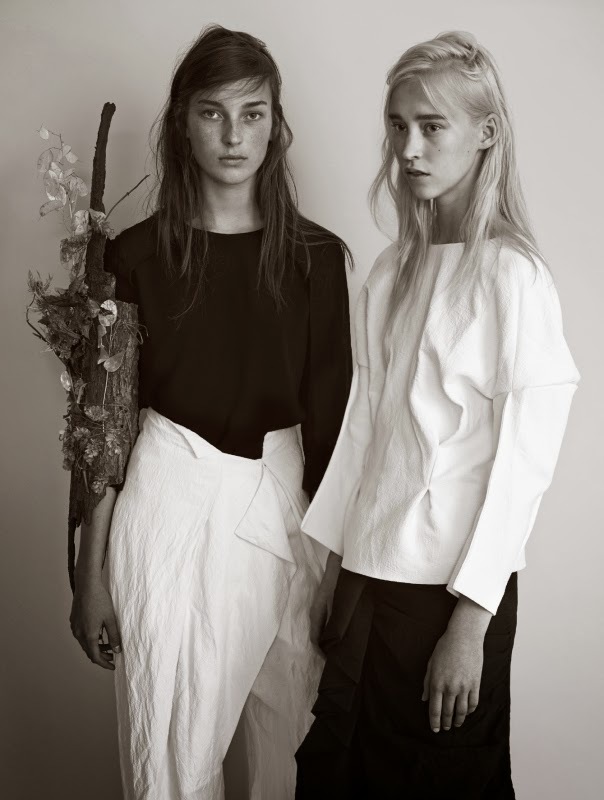 With her 180 cm willowy frame, delicate fine features, green golden flecked eyes, and irresistible smattering of freckles, Berghoeff has drawn comparisons to supermodels Kate Moss, Daria Werbowry, and Gisele Bundchen. Lofty praise for the Dutch newcomer who was discovered less than a year ago and has already shared lens time with Steven Meisel shooting Prada's Spring/Summer 2014 campaign. Currently undertaking her final year of high school, Bergshoeff's demanding school schedule has been skilfully navigated by her mother agency Ulla Models in Holland and DNA Model Management in New York via a select handful of ultra blue chip assignments. Editorial appearances for British Vogue and the Dutch editions of Elle and Vogue, in addition to a Proenza Schouler exclusive at the current Fall/Winter 2014 collections have provided a tantalising preview of Bergshoeff's stunning potential. Bergshoeff's incredible versatility on film which shifts seamlessly from fresh-faced ingenue to sophisticated debutante, and her intrinsic understanding of the unique relationship between subject and the camera's lens may be attributed to her love of photography as accounted in passionate detail via her personal Instagram page. On the eve of the European collections, Bergshoeff took timeout with IMA to chat about her prodigious rise to modelling's elite ranks, those flattering supermodel comparisons, and the challenges of juggling school with her burgeoning resumé of lucrative modelling assignments. Inoubliable Model Army (IMA) - Hi Julia, thank you for chatting with IMA. You've been on IMA's radar since your show stealing appearance at Prada's Resort Spring/Summer 2014 show. What was your initial reaction to your debut at Prada and were your surprised by the amount of interest generated from that singular turn on the runway? Julia Bergshoeff (JB): Thank you! At first I was very surprised but I felt very honoured to be able to work with such great people so fast after being scouted. The whole experience was very new and exciting to me. IMA: Would you mind sharing your backstory with IMA? JB: I'm 16 years old and live in a small town in the Netherlands called Papendrecht. I'm in my last year of high school and I'll be sitting my exams in May 2014. My booker from Ulla Models scouted me in April 2013. I did some test shoots and after a few weeks I got confirmed for Prada's Resort Spring/Summer 2014 show. So I had my modelling trip to Milan and that's what really kickstarted my modelling career. IMA: You're clearly a favourite of casting director Ashley Brokaw who cast you in the Spring/Summer 2014 shows for both Prada and Miu Miu, as well as Prada's Spring/Summer 2014 campaign. What was involved in the casting profess and what was your initial meeting with Ashley Brokaw like? JB: The first time I met Ashley Brokaw was at the casting for Prada Resort Spring/Summer 2014. I went in being myself. We said hi and she was really nice and sweet to me, after that I had to walk and take a few pictures. 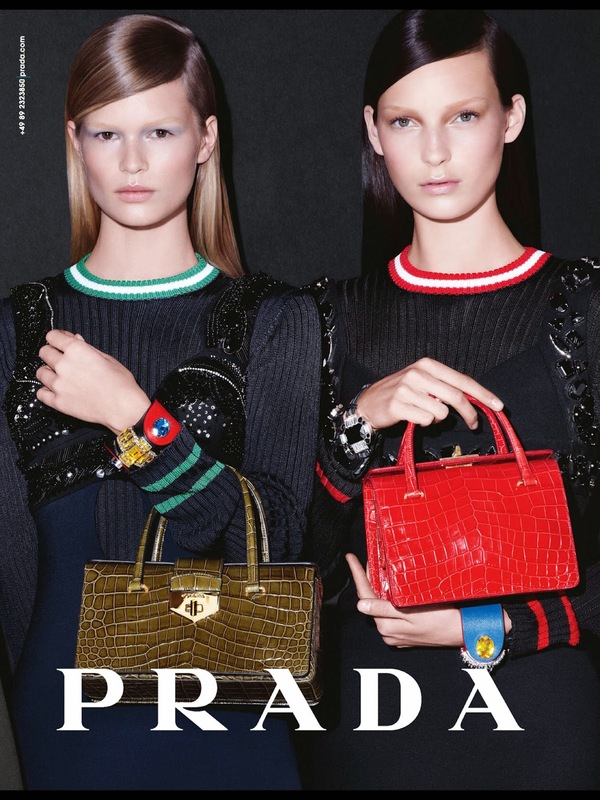 IMA: Your exclusive appearances at Prada and Miu Miu have landed you firmly on the radar of influential casting directors and designers for the Spring/Summer 2014 editorial and campaign season. Did you get a chance to catch your breath before heading to New York to begin the next round of castings and go-sees? JB: I guess they did. And yes I had enough time to take a rest. I'm in my final year of high school and I can't miss too much of it. 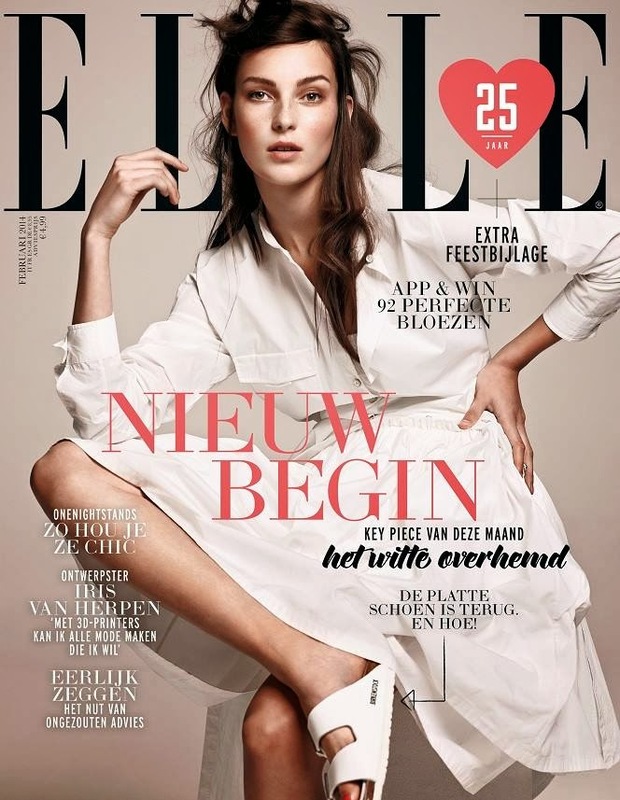 IMA: Dutch models continue to dominate the modelling stage. What unique qualities do you feel are contributing to the incredible modelling talent that continues to emerge from the Netherlands? JB: 'Act normal - that's crazy enough.' I think that's what makes Dutch girls so special. They will always be themselves. IMA: Your debut at the Prada Resort Spring/Summer 2014 show alongside newbies Anna Ewers, Malaika Firth, Holly Rose Emery, Marina Nery, Maggie Jablonski, and Binx Walton signalled a shift in the modelling paradigm towards greater diversity on fashion's runways. What are your thoughts on the fashion industry's embrace of diversity during the Spring/Summer 2014 collections? JB: I think it's a great thing... it makes the show line-up a lot more interesting. It shows the beauty of people from all over the world, not a limited view of beauty. IMA: Fashion Week is a crazy mix of excitement, exhaustion, and the anticipation of seeing friends made during past show seasons. Who are your closest model buddies and did you find the opportunity to catch up in between the mad rush of castings, round the clock fittings, and shows? JB: I only did two shows so I didn't get to meet so many girls however the models I know best are Julie Hoomans and Maggie Jablonski. Unfortunately, we didn't get to hang out much after the shows as I had to head right back to school. IMA: Your mother agency Ulla Models has slowly and strategically introduced you to the international market via a handful of ultra-selective bookings. What do you appreciate most about the management style and philosophy of Ulla Models, and what has been the the most valuable advice that your agent has shared with you so far? JB: What I really appreciate about my bookers is that they keep in mind that I'm still in school and therefore I can't leave often. But when I do, they book great jobs for me. The best advice my bookers offered me is that I should always stay and be true to myself. IMA: Model Aficionados have compared your looks to a compelling supermodel mix of Kate Moss, Daria Werbowry, and Gisele Bundchen! How does it feel to be compared to such modelling icons, and which models are you most inspired by? JB: I was amazed when I heard people were comparing me to these supermodels whom everyone loves, it feels very special. I never thought this would happen to me. I'm most inspired by Doutzen Kroes because she stays so normal and is always a class act. IMA: One of the big conceptions about the modelling and fashion industries is that it is all glamour and gloss. From your relatively short modelling spell, what have you found most surprising about the fashion world and communities? JB: How fast things can go! When I was scouted half a year ago, my Dad told me that I would have to go to New York before the end of 2013. I didn't believe him. But when I heard I would be going there last November I was so happy and surprised, it was amazing being in New York for the first time! And the loads of people you meet also really surprised me. 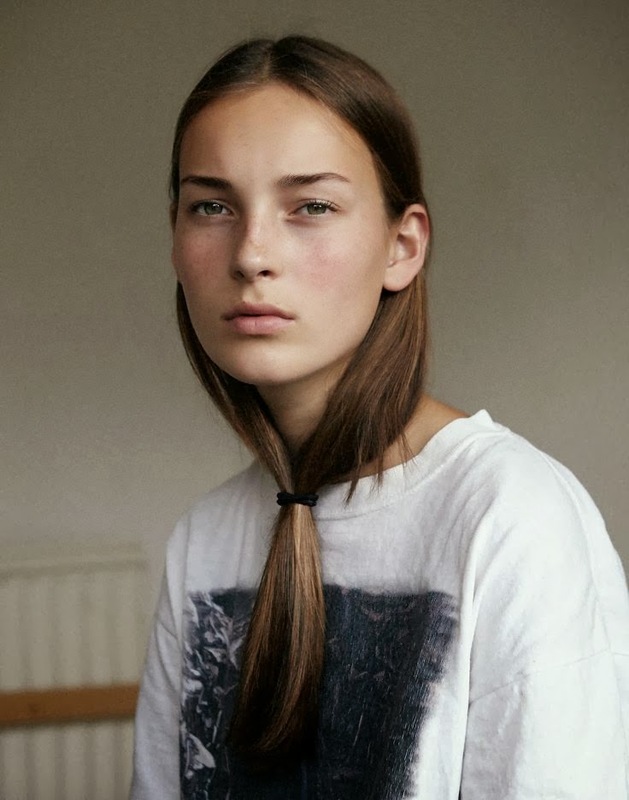 IMA: The modelling industry is a high-pressured adult world in which young individuals are often forced to navigate. What are your views on the New York Sate's recent passing of the new Child Labour Laws which provide protection for models 16 years and under from unsafe, unhealthy, and unlawful working terms and conditions? JB: I think it's a good change, it definitely helps to prevent exploitation of young girls and boys who work as models. It's good that we can finish school first and then concentrate on modelling more later. There is a bad side as well in that it's harder for young underage models to start working in New York because it's harder to get working permits now. But overall, I think it's a positive move. IMA: A model's sense of style has become increasingly relevant not only when presenting to clients but also off-duty due to the prevalence of street style photographers and bloggers. How would you describe your fashion aesthetic and which three designers are you currently obsessing over? JB: I just wear items that I like, most of the time they have to be comfortable but classy. And oh, I love black boots. I'm obsessed with Prada and their amazing designs each season. I also really like Balenciaga, Céline, and Alexander Wang! IMA: Your Instagram page features some amazing photography. Is photography a keen interest of yours? JB: Thank you! And yes I do, I'm very interested in photography. I like the way photography allows me to express myself easier. But the challenge of taking the right picture and being happy with it is a great process as well! IMA: Beauty is only part of a model's overall package with agents encouraging their models to explore and showcase other talents to increase their allure. What are your interests and passions beyond modelling and fashion? JB: I love being with my family and friends, photography, and cooking.